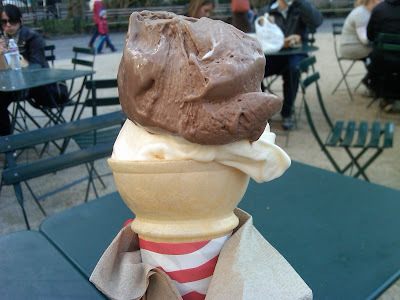 Lauren Loves to Eat: Shake Shack Frozen Custard! $5.50. Couldn't decide between chocolate and vanilla so I got both! Delicious. I also like these cones better than waffle cones. Nice & crunchy.